Jailbreaks had cleared that downgrade Apple iPhone, iPad and iPod devices IPSW Firmware must need a saved SHSH Blobs, when require the Apple servers is still logging this version. There is Dutch hacker team team ‘DoulCi‘ (@Aquaxetine @Minicrissofficial @Merruktechnolog) purportedly downgrades an iPhone, iPhone 4, iPhone 4S and other iPhone devices series which are running on iOS 7.1 to iOS 5.1.1 without the utilize of SHSH blobs. 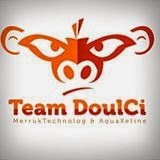 We had mentioned before that DoulCi team offer a service for bypassing iCloud activated lock. Developers and users knows that Apple had already halted logging iOS 5.1.1 & later on iOS 6, Apple brought a new confirmation procedure makes SHSH data becomes ineffective , so Jailbreakers to update or downgrade iOS no more so casual and little effort. So how they do it? Following video which demonstrate this downgrade from iOS 7.1 to iOS 5.1.1. Everybody can see in this downgrade video iPhone 4S seems to be Jailbroken, but no one can able to tell you if this is genius or real. As the team demands that they will provide few more information’s and details coming soon that how they persuade this. We are hoping that this is real, perhaps doulci team will bring a new device or tool to downgrade iOS 7.1.1 for iPhone, iPad and iPod devices in the future.